I posted last weekend about it, whining about how I just a little bit of the border to finish quilting. It took me all of about an hour yesterday, and then I got started on the scalloped binding. Like we all do, I Googled for help, and found a great post here. 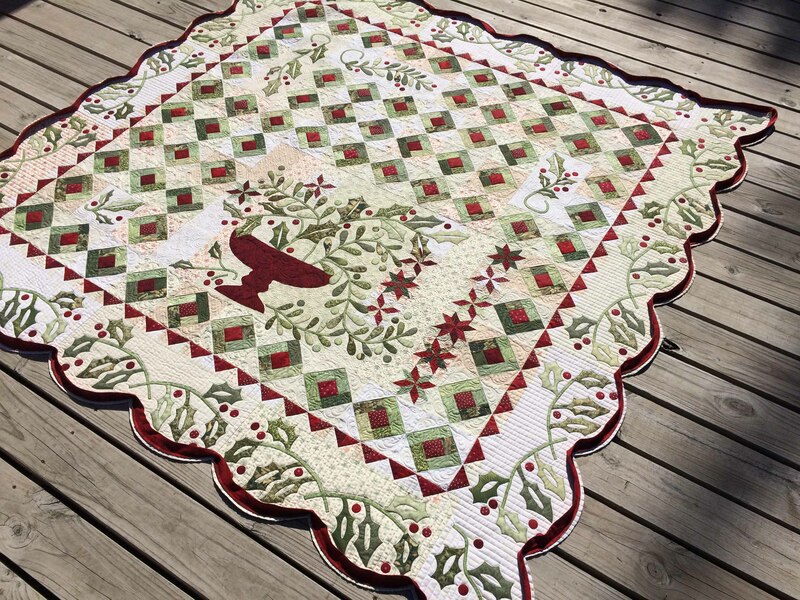 If ever I do scallops again, I think I’ll consider doing as she did on the quilt in that post, and just doing them on two sides. Love the look that gave her quilt. 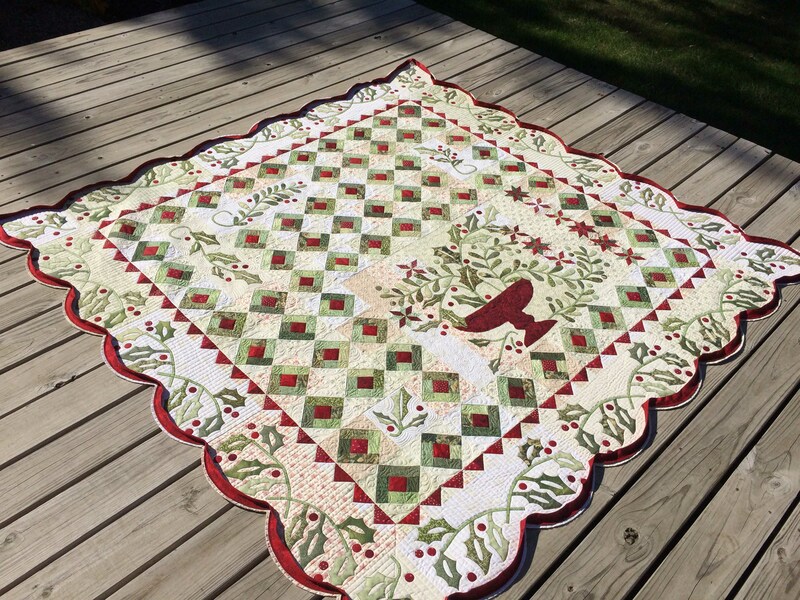 I got through sewing all of the binding on this morning and posed my quilt outside for some photos for you. It will now be added to the stack of quilts that have their binding attached to the front, but still need to be turned and stitched to the back. Depending on the quilt and it’s future use, I may or may not stitch by machine. This one will be done by hand, and it might be awhile before I get to. Considering the fact the quilt was started in January 2010, I’m doing pretty well, I’d say. I figure I have until January 2020 before I should get really embarrassed about how long it took to finish. 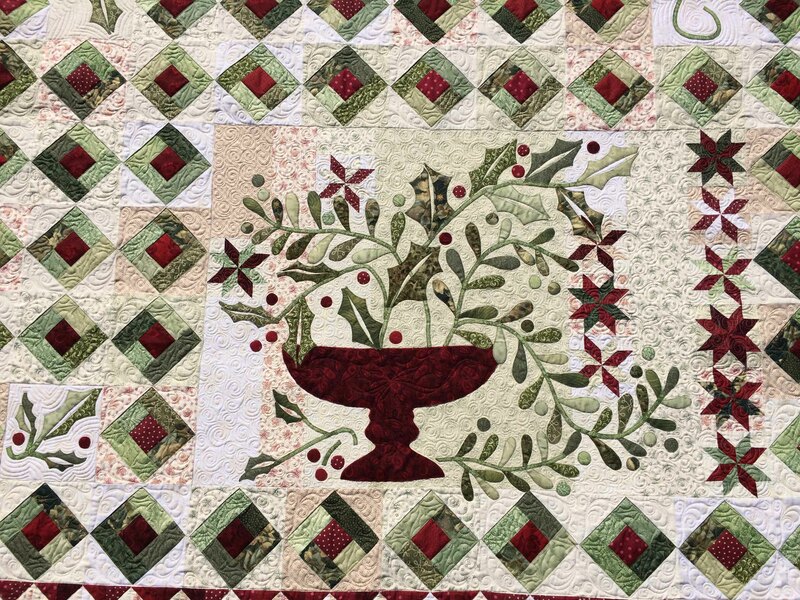 Pattern is “Holly and Mistletoe” designed by Blackbird Designs from their book “When the Cold Wind Blows”. 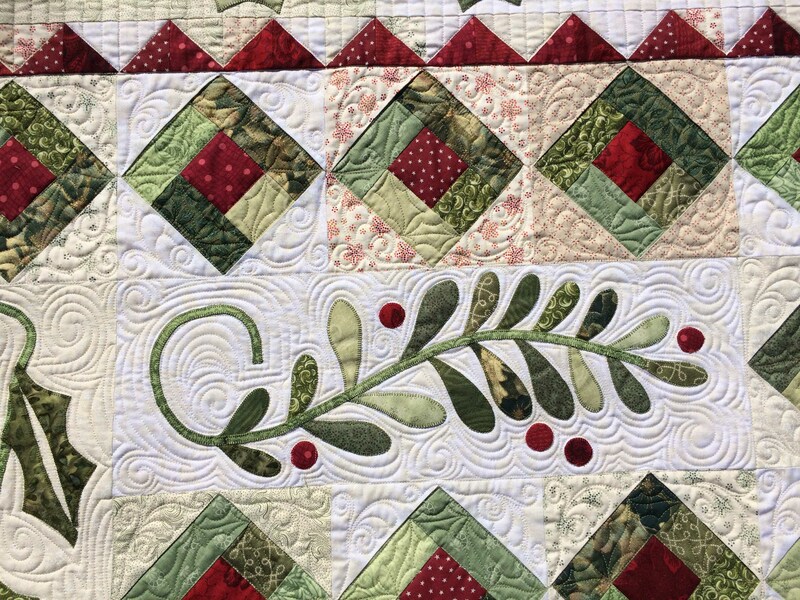 Machine applique, hand-guided machine quilting. With this one off the frame, I’ve got that itchy feeling that I’m allowed to start something new. It’s gorgeous! Makes me want to start it right now, but need to finish the Trick or Treat quilt from the same book first!